Featuring your own indoor private spa pool, this is the perfect room for a quiet relaxing break! 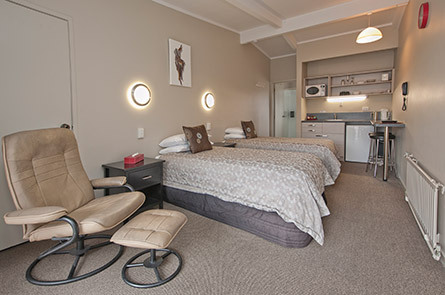 Sleeping up to 4 people with a queen bed in the bedroom and 1 or 2 single beds in the lounge, two tv's, full kitchen and bathroom, our 1 bedroom spa apartment has everything you will need. Ideal for families and groups! 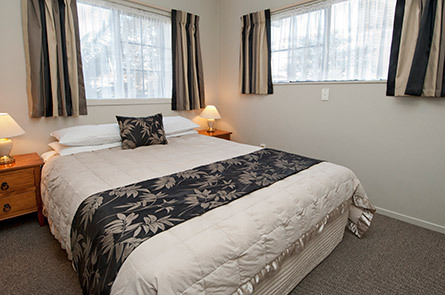 These rooms sleep up to 6 people with a queen bed in one bedroom and 4 single beds in another bedroom. Featuring a large lounge with couches and recliner chairs, full kitchen with dining table, dishwasher and large fridge/ freezer. Plenty of space to relax! 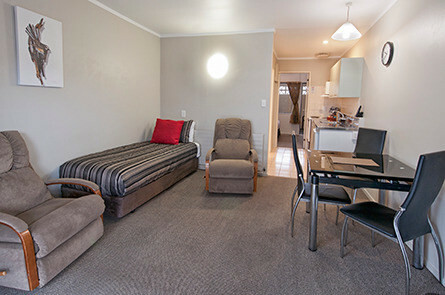 Our deluxe double studio units are perfect for one or two people. With a queen bed, kitchenette with a double hob, microwave, toaster, tea & coffee facilities, and a writing desk and dining table to seat two, perfect for a quiet relaxing stay. 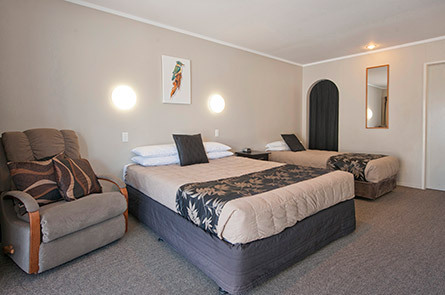 Our deluxe double studio units are perfect for one or two people. With a queen bed, and a single bed, kitchenette with a double hob, microwave, toaster, tea & coffee facilities, and a writing desk and dining table to seat three, perfect for a quiet relaxing stay. 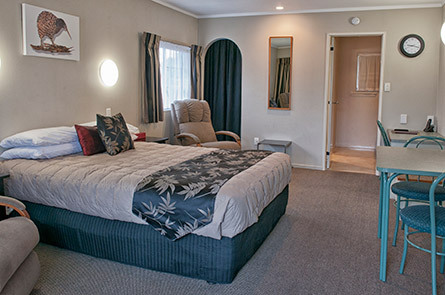 With a super king bed, kitchenette with microwave, toaster and tea and coffee facilities, a nice comfortable room at a great price! 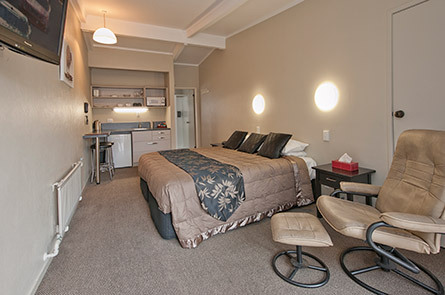 With two single beds, kitchenette with microwave, toaster and tea and coffee facilities, a nice comfortable room at a great price!